The Henry is located on Couch between 11th and 12th. It consists of 123 Condos that were built in 2004. This half block includes a retail base of approx. 11,000 sq. ft. on the ground floor with three floors of parking above and 11 stories of luxury condominiums. Situated in The Brewery Blocks at the entrance to Portland’s Pearl District. 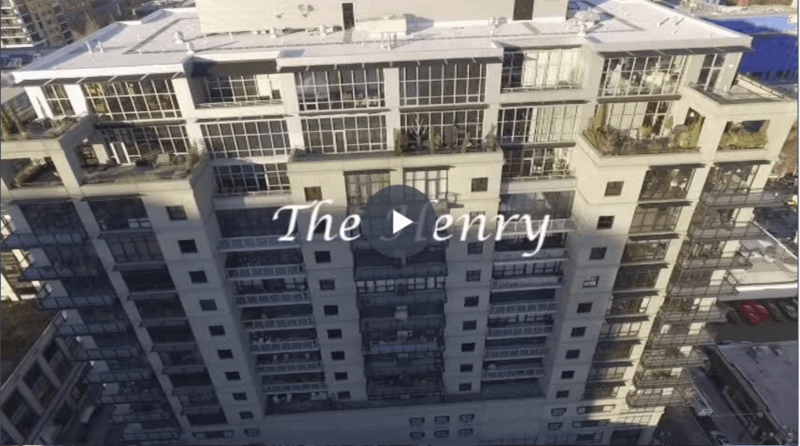 The Henry Condominiums received gold LEED certification from the U.S. Green Building Council, becoming only the third residential building in the United States, at the time it was built, to achieve this rating for sustainable design and construction. Portland condos in the heart of the Pearl District. For a private showing of an available unit at The Henry in Portland, call Brad Golik at 503-896-8856.